You can click on the links above to read the text in Oremus Bible Browser. Imagine with me, a sunny afternoon, like it was yesterday. Breezy, but warm. It’s been a crazy couple of weeks. Jesus has jumped into his ministry full blast, settling into Capernaum in the Galilee, gathering a small group of followers, preaching in the synagogues at every opportunity to tell the story of God’s restoring love and healing for the hurts of the world. When he preached at home, he healed a man who was possessed, right in the middle of the worship service. He went home to find Peter’s mother in law down with a fever and healed her. Now everywhere he goes, he is besieged with people asking for healing. It’s been a whirlwind tour of teaching and healing. There has not been one quiet moment as Jesus and his followers have marched from town to town. The strictest religious elders and the biblical lawyers were already on alert. For someone who claimed to be God’s messenger, Jesus seems to be pretty relaxed about what it means to a Jewish Rabbi. He doesn’t seem to be worried about any of the rules about who you touch and who you eat with. He’s left himself wide open to accusations of breaking the purity laws that are the very thing that made the Jewish people into God’s people. The ancient laws they followed made them superior to the rest of the disgusting heathens that surround them; the so-called elite Greeks and Romans that occupied them. On this sabbath afternoon, Jesus and his followers are wandering in the wheat fields that surround Capernaum. I imagine they’ve been in church all morning, and they are finally going home to a nice meal. It’s already afternoon. 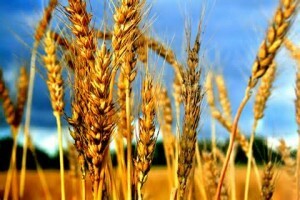 As they wander through the wheat, some of the guys are snacking on some of the ripe heads of wheat that surround them, as they relish the thought of a lazy day stretching ahead of them, when the religious elders that are always watching them pull Jesus aside to demand what his guys are doing hiking out of town and harvesting grain on the Sabbath. Everyone knows you don’t work on the Sabbath! Of course Jesus has a great example from their history to show that someone famous did something far more spectacular. If you want to be nit-picky about what you could do on the Sabbath, I’ll give you an example of when it seemed OK to other religious elders to do something not allowed, he says. The Pharisees were being extreme, the point of not harvesting grain on the Sabbath was to keep people from gaining an advantage over their peers by harvesting on the weekend and rushing to market on Monday morning when everyone else was busy harvesting. So what exactly is the point of Sabbath? Sabbath is a mark of liberation. Only a free people can take a day off, to rest, to build relationships in the family and the community, to go to church and sit in God’s presence, and to spend time in prayer and reflection on the Word of God, given to them directly by a God who loves them. When God brought them out of the land of Egypt, out of slavery with a mighty hand, God gave them the time to rest from work, and to give the people and animals who worked for them a time of rest. It was meant to be a time to give thanks and be grateful for God’s blessings and to enjoy them. It was not ever meant to be a burdensome time of iron-clad rules that made life more complicated. Or as Jesus says, “The sabbath was made for people, not people for the sabbath. So then at church that very night, Jesus encounters a man in need of healing: a test case, so to speak. He asks them whether it is appropriate to heal on the sabbath, to save a life or to let it end. And they are as ungenerous with Jesus’ intention to heal the man’s crippled hand as they were about eating grain. It’s amazing to me that this early in Jesus ministry, the self-righteous church leaders were already plotting with the most unlikely political conspirators to undermine and destroy Jesus and his work. We are the very beginning of his teaching ministry. One of the things that has not changed since this story is how quickly church people and church authorities become the most judgmental and hard-hearted about people’s circumstances. I have known people who were sent away from church for being divorced, having a baby without being married, being gay, or otherwise failing to be the fine examples of behavioral norms as defined by the church. As if any of us comes to God’s table because we are worthy. So often the church has been so much into being righteous about the rules that we forget we are all forgiven and invited by a God who never failed to look past the lying, cheating, greed, or self-righteousness of God’s own chosen people to love and forgive and support their efforts to live up to the honor of being God’s chosen. The message that Jesus brings is that even though we all fail, we are still all invited to come to hear God’s word and to share in Christ’s presence here in the bread and wine we have to offer. That is where we get the strength to suspend our ego and to let the love of God enter into us. That is where the power of the love that raised Jesus from death can open our hearts to befriend and care for each other and for the world outside our doors. That is the source of generosity and the courage to right the wrongs of our world. Sabbath is the time to get back in tune with what God intended for the world to be like, and to rest for a moment in the peace of that vision until we have to turn back to our work of healing and saving the world that is our legacy from Jesus himself. May our sabbath rest always be one of gratitude and grace for ourselves and a chance to realign our souls with God’s purposes.